This beautiful New Castle design range or stove hood is all handmade in Pennyslvania. It can be made in copper or a rustic gray metal. Each metal range hood has a with a heavy duty inner framework & comes complete with blower, lights and filters, from 500 to 1500 CFM. 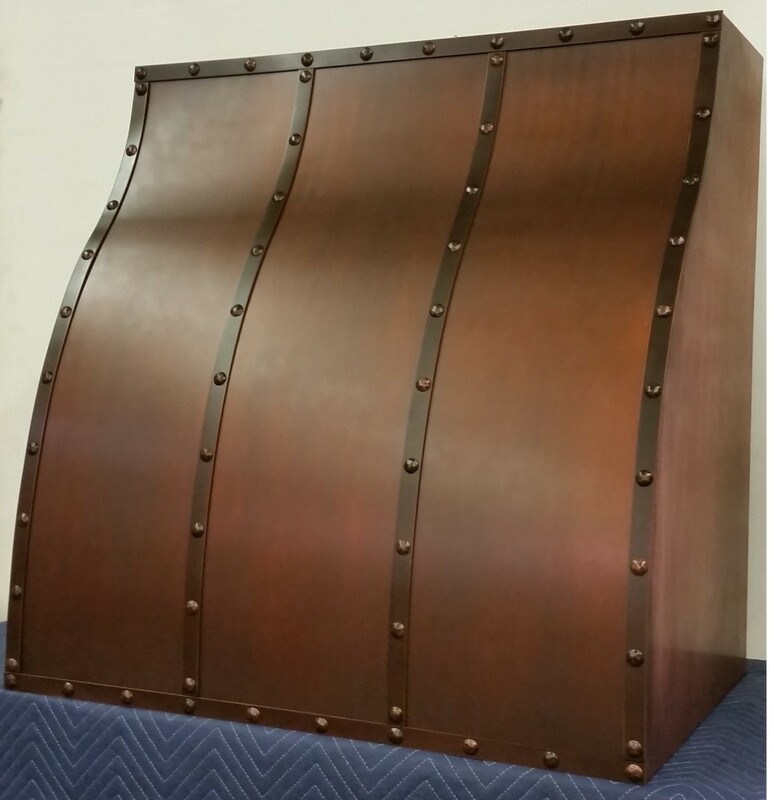 * Want this range hood in copper? Add 5 to 10% to the overall cost.